With the Office@Hand Desktop App HUD, you can monitor your colleague’s call with additional functionalities such as whisper, barge, takeover. 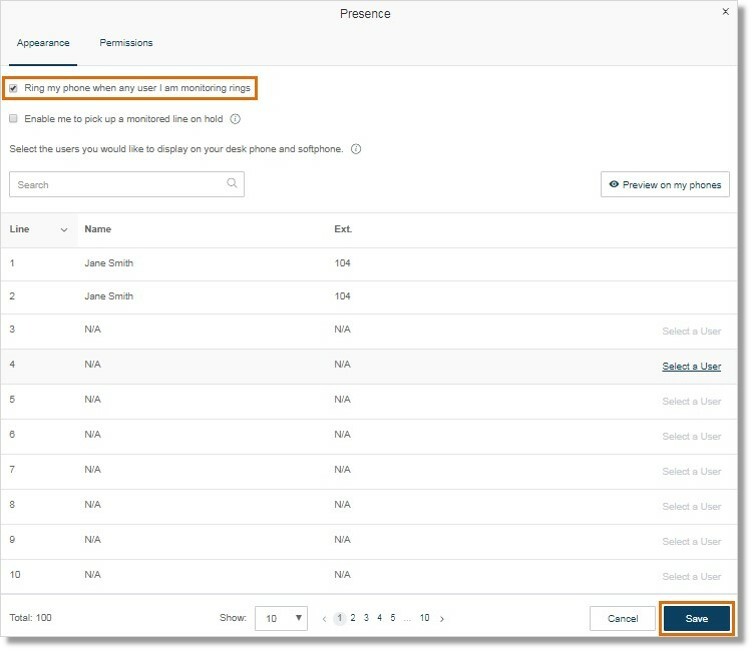 Set up your account’s presence, and call monitor permissions to utilize Call Monitoring for the Desktop App HUD. Call Monitoring enables you to improve your business’ call monitoring capabilities by providing features that allow you to check the quality of calls taken by your colleagues. With whisper, barge, and takeover you can either check the call, join the call, or take over the call. 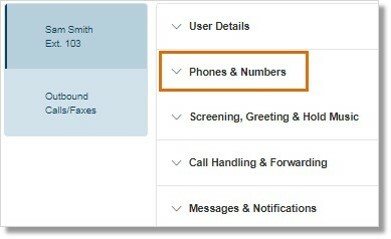 Call Monitoring for the Desktop App has no difference in feature with the Call Monitoring feature on your Desk phone. However, with Office@Hand for Desktop, you have a more intuitive interface to change the call monitoring statuses without using a touch tone. Switch to the different functions (whisper, barge, and takeover) within the UI. IMPORTANT: Only the Super Admin, User Admin, and Custom Roles with permission to access User management > Users and User settings > Phones & numbers can set up Presence permissions. A User must have the permission to configure the Presence settings. See Office@Hand: User Roles and Permissions for more information. Greg, our Supervisor needs to Call Monitor his agent, Amanda. Greg has to set Amanda’s Presence, and Call Monitoring permissions via the Office@Hand Online Account so he can monitor Amanda via Office@Hand Desktop App HUD. The Administrator should log in to the Office@Hand Online Account and go to the Users section on the Admin Portal. 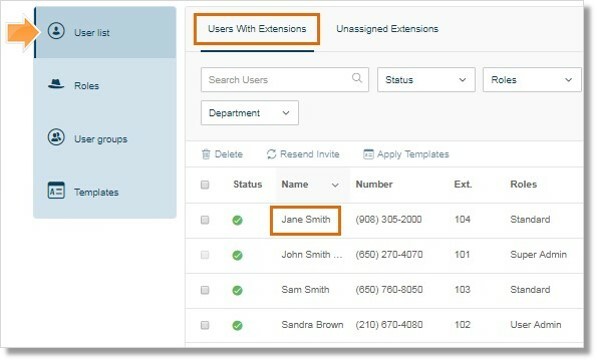 On the User list > Users With Extensions tab, select the User that needs to be monitored. Click the Phones tab, then click Presence. Enable Allow other users to see my Presence status by selecting On. Select the Administrator/ Supervisor/ Manager from the list. 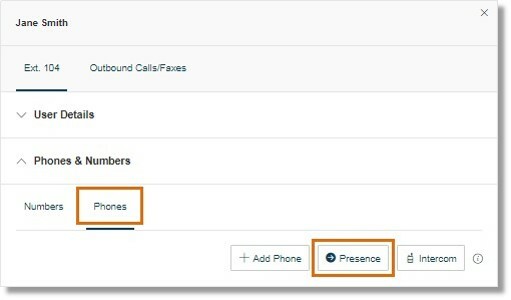 QUICK TIP: Administrators with permission to monitor other users for management purposes can opt to have their phone ring when any user they are monitoring receives a call. Make sure to click Save. Proceed to set up a Call Monitoring Group. The User should log in to the Office@Hand Online Account and go to Settings. Click the Call Monitoring tab. Click the New Call Monitoring button. Enter the name of the Monitoring group, then click Next. 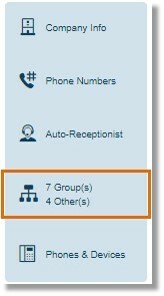 Select the users that can monitor the group from the list. Click Next. Select the Users that can be monitored from the list. Click Save. On the Office@Hand Desktop App HUD, when an agent or user is on a call, the admin or supervisor can mouse over the user and click on Monitor. 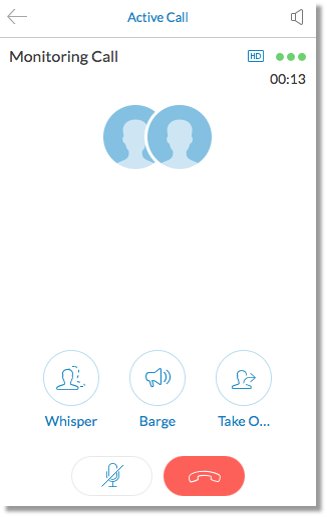 Whisper – This option allows the supervisor to speak with the user without interfering with the caller. Barge – This option allows the supervisor to join the call. 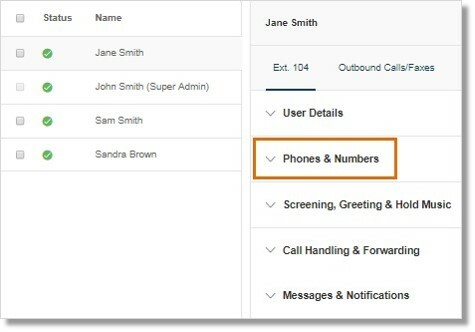 Takeover – This option allows the supervisor to take the call and proceed without the user who answered the call.